Spring is in the air, newborn lambs and calves can be seen dotting our countryside and we are also heading into prime breeding season for many equine Stud farms. Breeding equines is not something to enter into lightly though. Sadly often retired, lame or old mares are looked upon as ideal candidates for becoming broodmares. Their owners thinking along the lines that breeding a foal from them would give them a ‘purpose in life’ or ‘help pay for their keep’. In past years a lapse in EU laws means that people are breeding from stallions that are not graded or haven’t reached the minimum standard for that breed. Other major concerns are that the age of mares are not being monitored resulting in very young or very old mares being put at risk. We have also seen first hand the results of irresponsible breeding, whereby mares have been bred with stallions totally unsuitable size wise resulting in permanent damage for the poor mares and sometimes loss of both the mare and foal. At ERF we receive many calls each month regarding ‘at risk’ equines. One of the ways to reduce the amount of unwanted, neglected and abandoned equines would be the introduction of programmes to educate and inform on ways of producing equines of a higher quality and worth. As a welfare Association, we are well aware that there are far more horses, ponies and donkeys than there are experienced and knowledgeable homes available to care for them. A problem that will only continue to escalate if we continue to add to those numbers. In the past few years the prices of horses and ponies, especially in the UK and Ireland, have dramatically fallen and there is a huge concern for the fate of such cheap animals. Equines are complex animals with specific needs and are likely to suffer if bought by inexperienced or unknowing people, especially when some are going for the same price as a pet rabbit! Purchase prices may be low but the costs of keeping a horse are still high meaning that anyone lured into horse-ownership because they now find the initial outlay affordable is likely to run into financial difficulties caring for their animal. The result being that yet more horses will suffer if we don’t start to tackle the root cause of the problem. 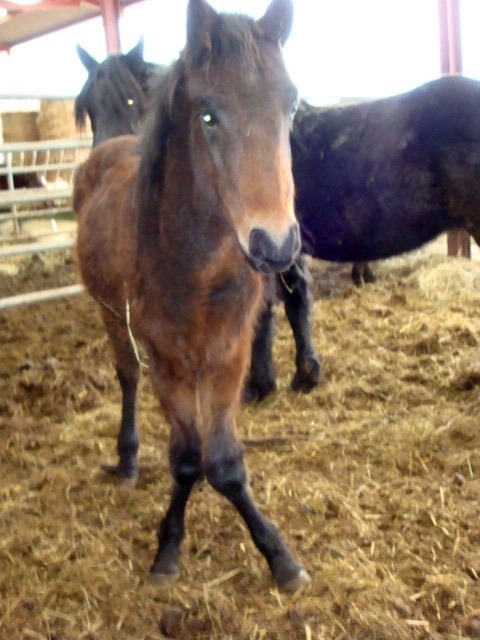 ERF has always adopted a no breeding policy for all equines that are rehomed by us under contract. We castrate, where safe to do so, all entire equines that come into our care. This is our committment to reducing indiscriminate breeding in the horse world, something we should all be thinking long and hard about.